Once Upon a Bookcase has arrived for the month of November and IT IS FLAWLESS. So excited to share with you the details of these gorgeous pieces! First of all, as a subscriber to the Anything and Everything Box, I am a fan of every single one of the cases that Michelle designs. However, with last month being a more masculine case, I was really hoping for a feminine case this month. And I was NOT disappointed! As most of you know, I worked for Walt Disney World for 6 months on a college internship, so receiving the Sleeping Beauty case was beyond my expectations! This case is gorgeous and so colorful, I’m so excited to flaunt it around! And though the phone case was and always will be the star of this subscription box, the goodies Michelle chooses are yet again, amazing. The Sleeping Beauty Sleeping Mask she included was too cute. It was a playful and fun item to include while still super practical! There’s nothing that bothers me more than items included in subscription boxes that make me think ‘okay, yea but what am I supposed to do with it.’ Combining the ideas of quirky and fun is something Michelle excels at, and I’m a huge fan! The jewelry included this month (I genuinely hope this is a regular thing!) was a gorgeous heart locket that GLOWS IN THE FREAKING DARK. Yes, you read that right, the beautiful silver locket pictured above glows in the dark. Life is good. Finally, the jeweled hair piece included was a surprise all it’s own! It is so pretty and dainty and feels very well made – I worry about delicate things in subscription boxes, simply for the fact that owners may cut quality to save on cost but I definitely feel that this hair piece could hold it’s own! Super durable and dainty – perfect combination! Finally, the card included. Last month, Michelle had a little card that included the list of what was included (maybe a 3×4 size card?) This month, she changed that by including a 5×7 card that not only had the list of all the goodies included but the backside (pictured above) was a beautiful quote print that could easily be framed. Definitely a favorite feature and hope that it continues into future boxes! I know last month I had issues with the box, but this month I was super careful opening it and pleased to report it is still intact, HOWEVER, Michelle is upgrading to an even cuter box next month – I cannot wait to get my hands on one of those! Next month’s Manly Man and Anything & Everything box are HARRY POTTER THEMED! Super excited to see the goodies she includes. Fingers crossed for a Marauders Map case, though honestly, anything Harry Potter related is a dream come true. 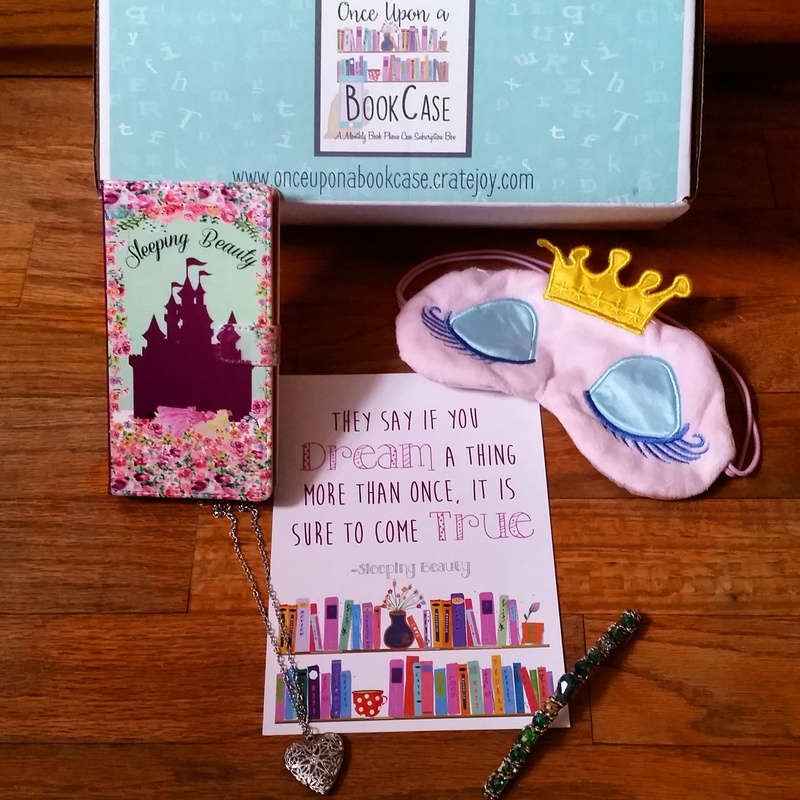 To get your hands on a future edition of Once Upon a Bookcase, head over to their website! There’s still time to subscribe and nab the Harry Potter one!